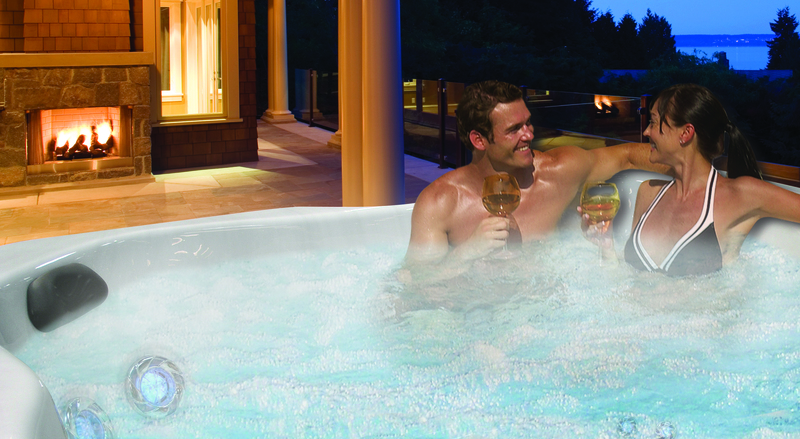 Cal Spas hot tubs are insulated using high-density Thermo-Guard™ Full Foam Insulation. This efficient insulation process provides maximum heat retention, while lowering operating costs – saving you money every day! We apply the latest technology to our eco-friendly insulation process that is structured to firmly lock all plumbing into place, keeping you and your hot tub warm and all cold elements out. Our closed cell foam provides additional structural support and repels water to avoid corrosion. The high-density Thermo-Guard™ Full Foam Insulation is engineered to support plumbing while reinforcing both the cabinet and spa shell. Only Cal Spas provides an extra layer of protection in its hot tubs with the unique Thermo Layer™ Cabinet Blanket Insulation. This powerful reflective insulation is attached to the inside of your hot tub’s cabinetry. It consists of seven layers composed of foil, polyethylene and air bubbles. The foil reflects up to 97% of radiant heat back into the hot tub ensuring that warm-up times are as short as possible. Best of all, the Thermo Layer™ Cabinet Blanket Insulation is impervious to moisture and humidity, making your hot tub maintenance-free and protecting it against pests.